For wavy, thick or coarse hair. Artfully designed, our plastic pin brushes are designed specifically for hair that’s harder to style. Increased control and manageability without damage, each is hand made with a cushioned, pneumatic rubber base. 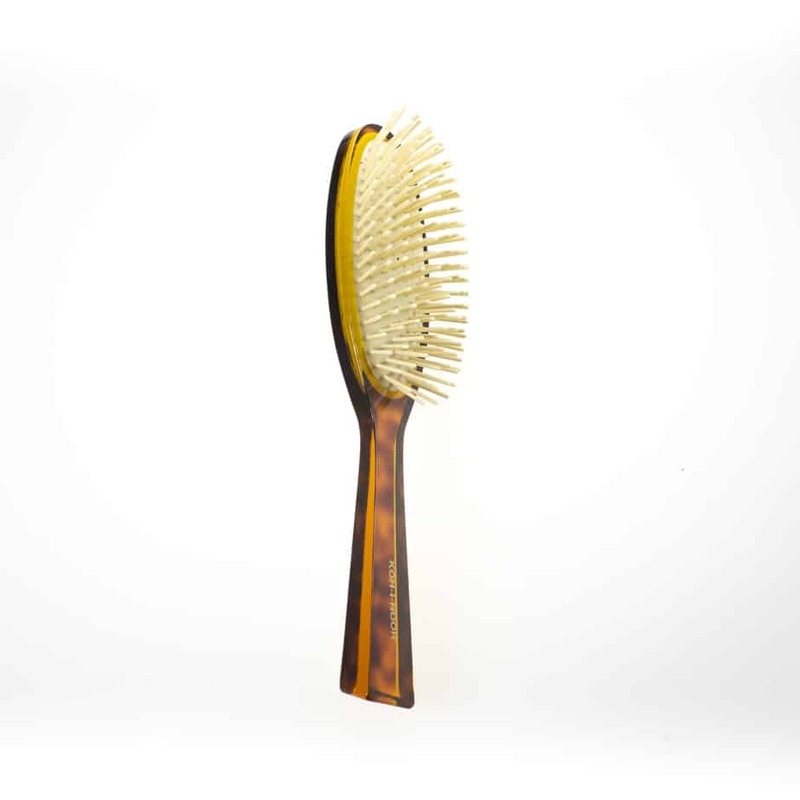 The pneumatic brush design includes cylindrical plastic pins inserted in a unique rubber cushion pad, perfect for smoothing thick, coarse hair. 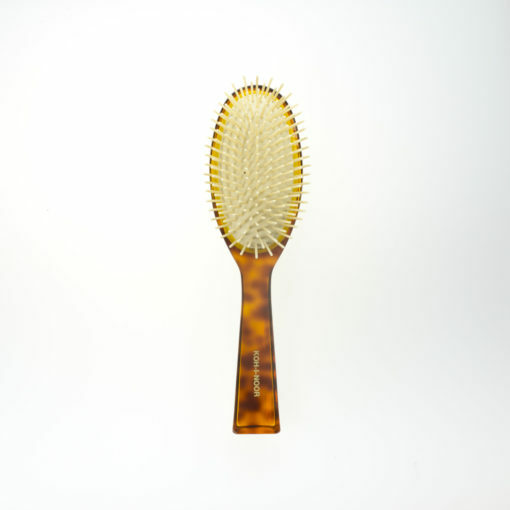 Care: Remove any excess hair from your brush and swirl the brush in a bowl of lukewarm water with a little shampoo in the water. Rinse thoroughly, removing all soap, dirt, hair and oils. Air dry. Never put your pneumatic brush in hot water as it will destroy the base. Never mass-produced, each brush is made by hand. 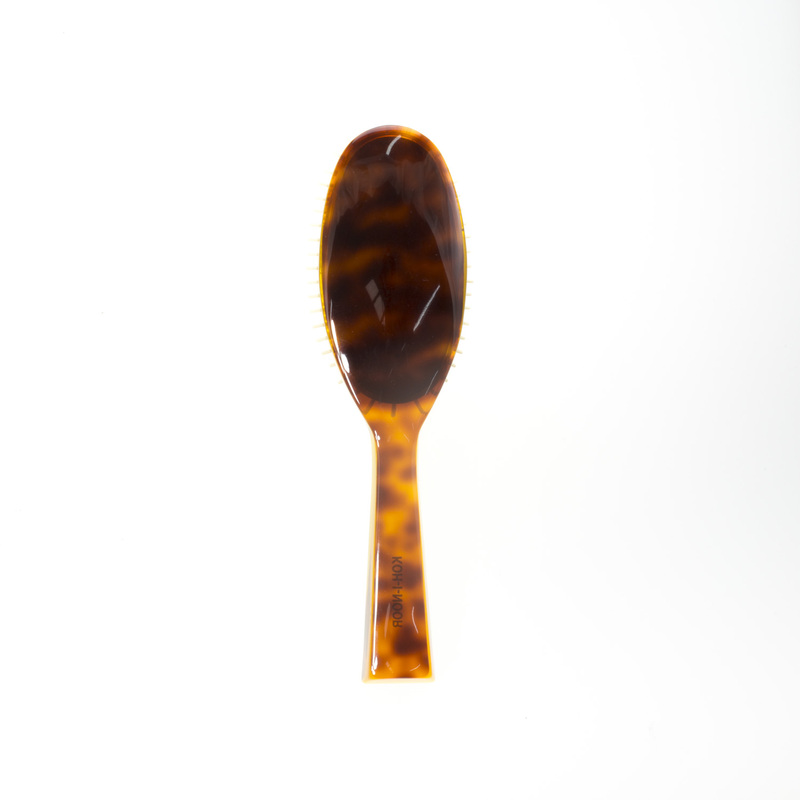 The Jaspe collection features an iconic tortoise shell design, making it one of our customer favorites. Handle and body are made of cellulose acetate with a gold-stamped logo. The Pneumatic Brush has cylindrical plastic pins for maximum control of thick, coarse hair. I have mid-length hair that's usually really hard to maintain but with this plastic pin brush, it goes right through without any tearing. I love my long hair. No more pony tails! Great brush. And well worth the investment.